“Clyde” is one of the more frequent taggers in Cambridge’s “Graffiti Alley”. 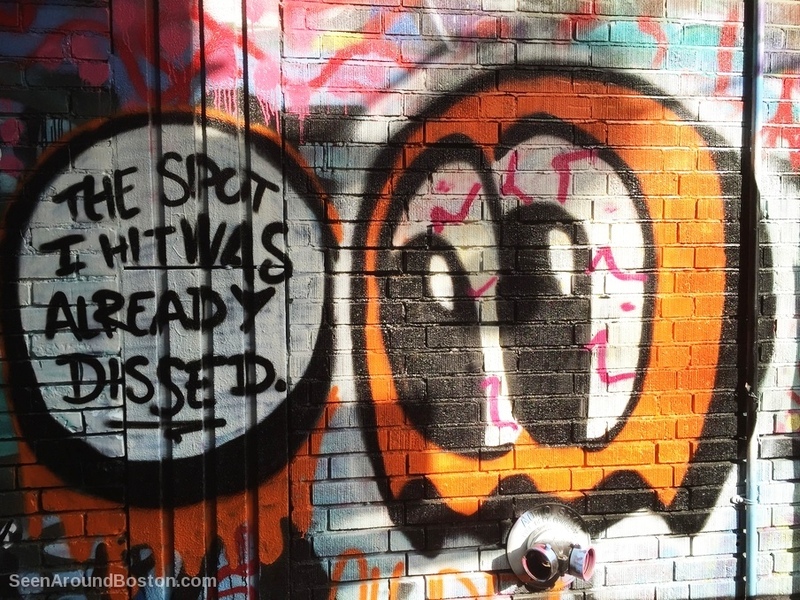 The orange ghost character shows up at any given spot on any given day, usually accompanied by a one-word caption. This time he had more to say: “The spot I hit was already dissed”.